Just like every community, Institutes of Higher Education (IHEs) are at risk from emergency events, both natural and manmade. A team of graduate students in the Community Planning Workshop class hope to learn exactly how much variation exists. The goal for this team of students, led by Project Manager Rory Isbell, is to gain a comprehensive view of emergency management at all IHEs in this country. The final report will be include a strategic action plan with recommendations to make emergency management better and more efficient. What counts as an IHE? This category includes every possible type of higher education institution, not just four-year colleges and universities (both public and private). IHEs also include technical colleges, professional schools, and two-year community colleges. This project seeks to study as many schools as possible in order to better understand how emergency management can be improved for all types of IHEs. What counts as an emergency? 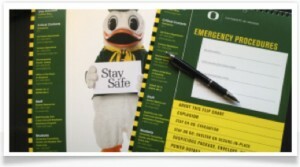 Schools have different definitions and ways to cope with emergencies. Emergencies range from natural hazards, like earthquakes or tsunamis, to crimes, such as assault or arson. Additionally, some schools have many campuses across the country or even the globe. How do these schools manage emergencies on an international scale? There is no “one size fits all” when it comes to emergency management; each IHE has a different approach. Some schools have an entire department dedicated to emergency management, while others rely on their campus police or public safety departments to cover emergencies. This project is a joint effort between the National Center for Campus Safety (NCCPS), the Disaster Resilient Universities (DRU) Network, and the International Association of Emergency Management (IAEM) Universities and Colleges Caucus (UCC). The Community Service Center is happy to have strong, national partners who are are dedicated to improving the lives of others through emergency management. 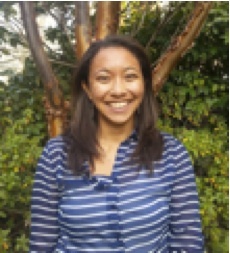 Alexand ra Lau is working on her Master of Community and Regional Planning and Master of Architecture degrees at the University of Oregon. Her academic studies revolve around improving design standards for buildings to create more sustainable cities.